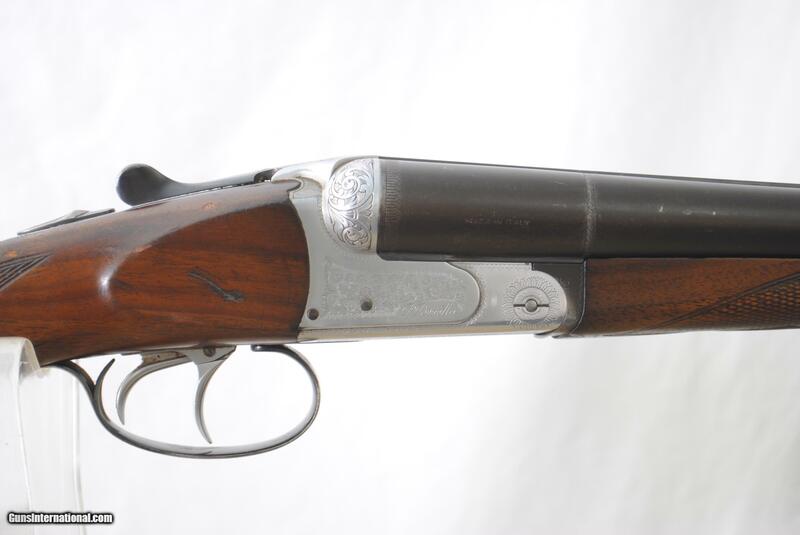 According to its name, a “Best” gun sounds like it should be the finest shotgun a gunmaker builds. But that’s not always the case. With some makers, there’s a grade above “Bests” — “Better Bests”, I guess. Holland & Holland calls these Modele de Luxes. 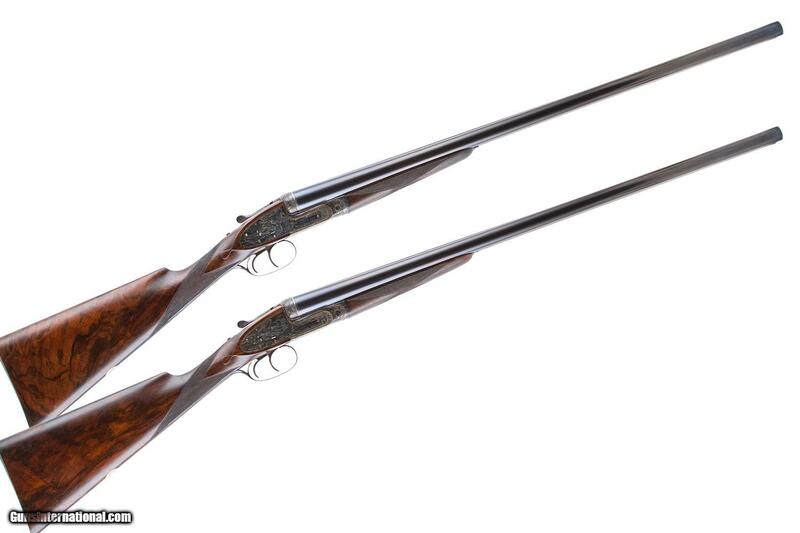 At James Purdey & Sons, they’re known as guns with “Extra finish“, and the pair of 12 gauge Purdey sidelocks you see here are just that. 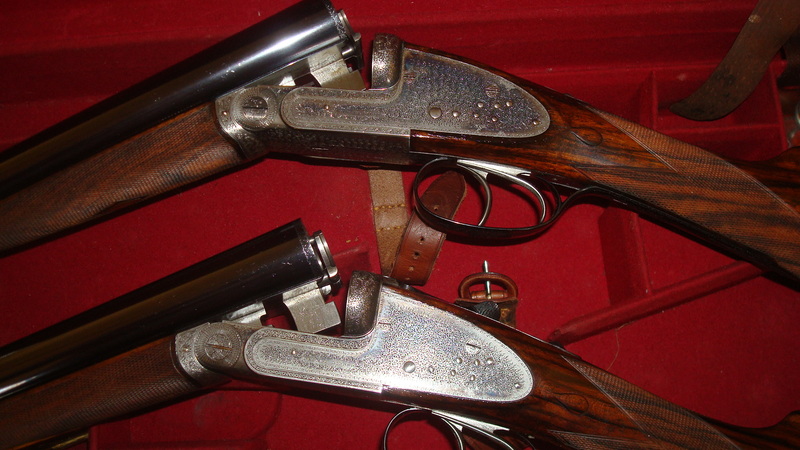 Overall, guns with Extra Finish are built to the same level as the maker’s standard Best-quality guns (or maybe a bit better, in the case of this pair). 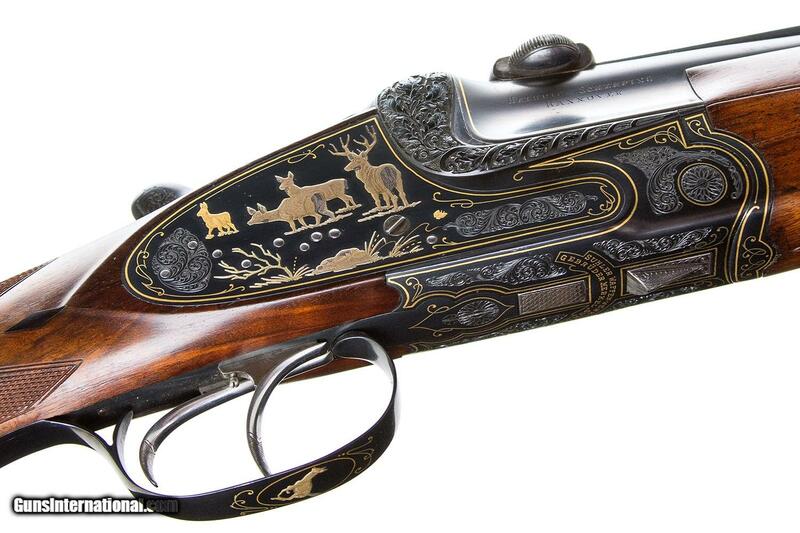 But as you can see, their engraving is taken to the next level (here’s a standard Purdey). 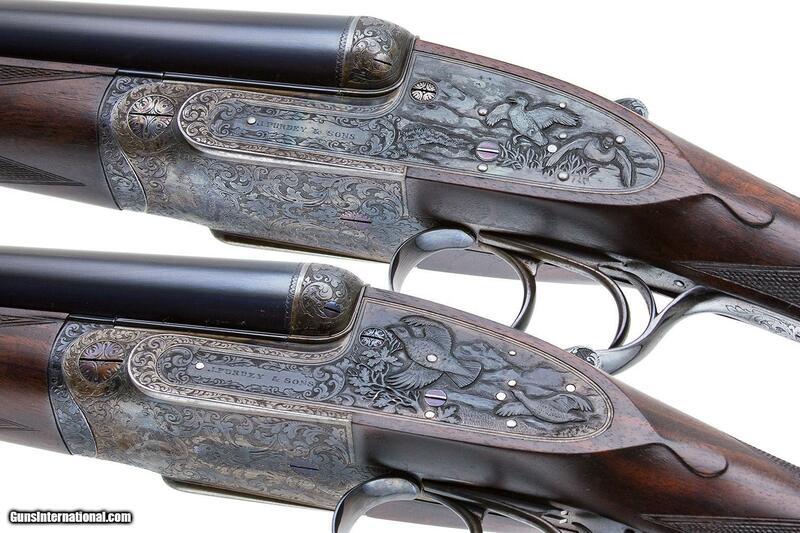 These two may have been engraved by Ken Hunt (aka “The Godfather of Gun Engraving”), a British craftsman who worked at Purdey’s and learned his trade from Harry Kell. 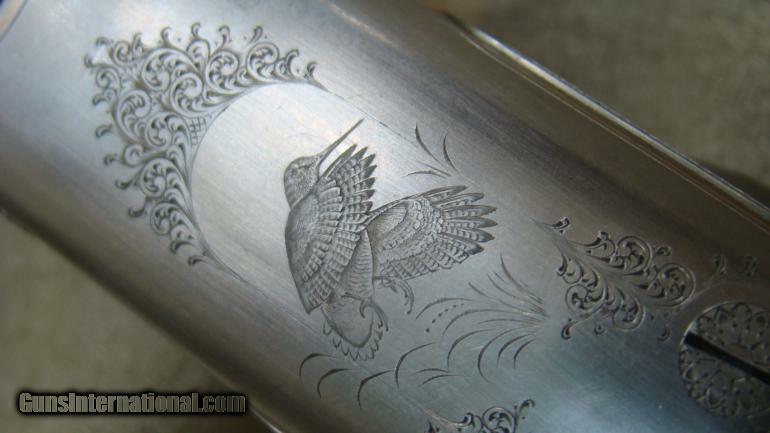 Along with the gorgeous engraving, the guns are beautifully made all around. 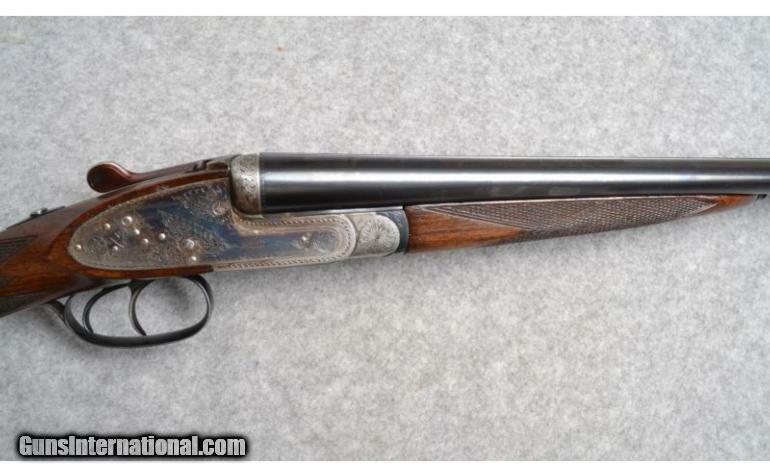 Check out the metal-to-metal fit and the way the forend iron fits onto the action. Then look at those perfect drop points on the stock. Does all this make them worth $125,000? Perhaps. Even with twice that much money, you would have a hard time duplicating the quality of these Purdeys today. Personally, I don’t think you could do it. 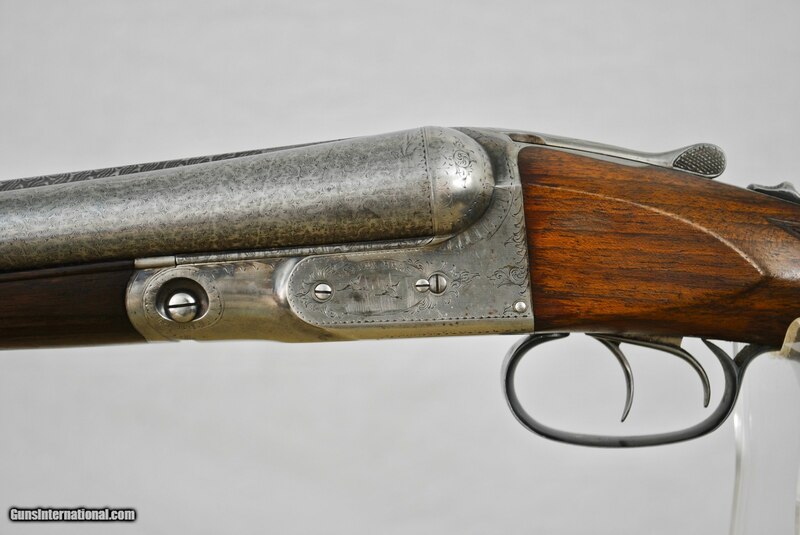 I love vintage British shotguns – especially sidelocks. But even though I think they’re as good as guns get, they can have problems. One comes from their age. Because they’re old, people have had a lot of time to mess with them. 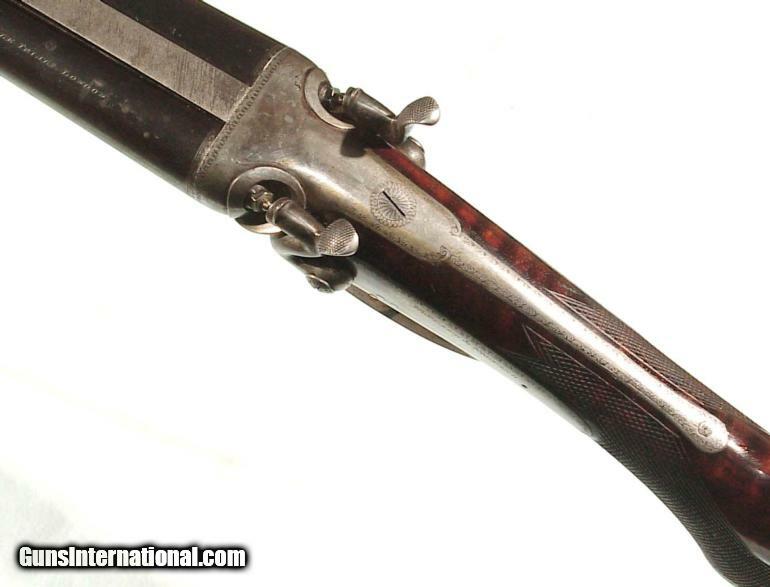 That’s why so many Purdeys, Holland & Hollands, and other top-tier British shotguns around today are tired, shot out, and pretty much dead. 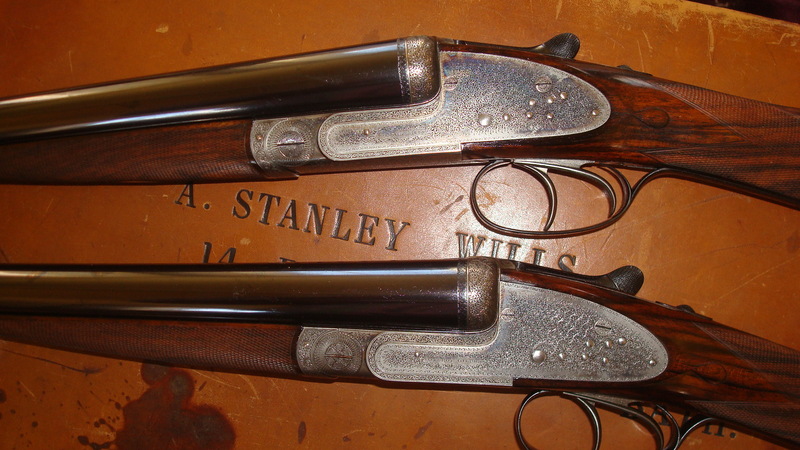 This pair of best-quality Henry Atkins was made around 1896, so they’re very vintage. 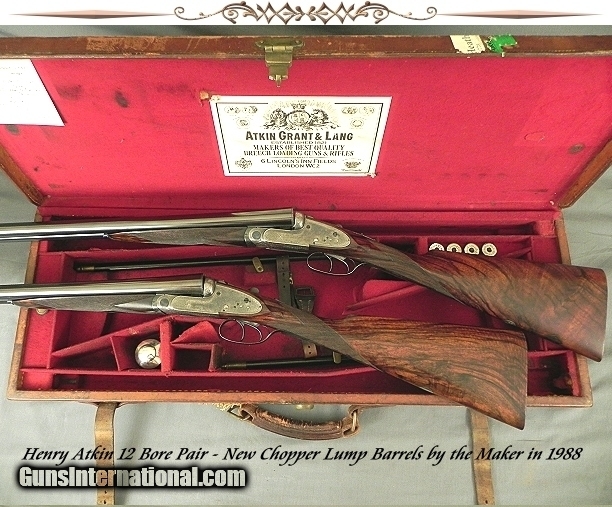 What caught my eye is their new stocks and barrels, all made by Atkin, Grant & Lang in 1988. 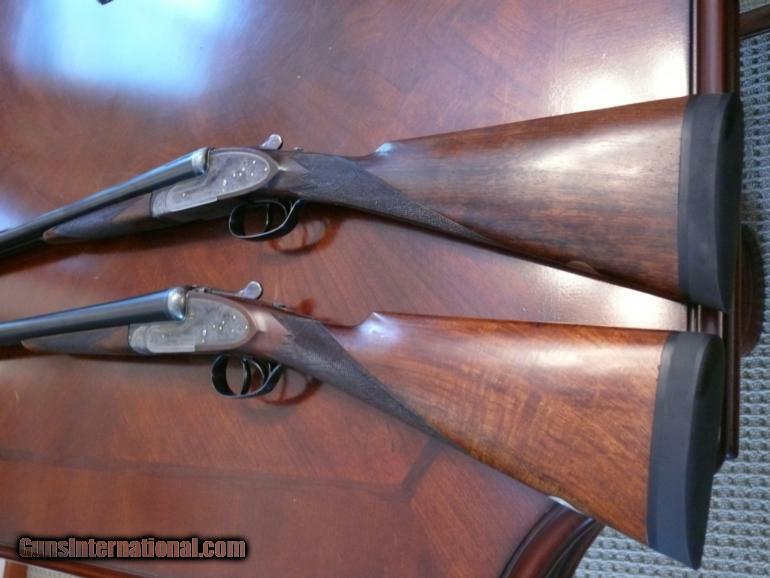 They make this pair of 119-old SxSs part vintage and part brand new. Whoever had these guns rebarreled and restocked spent a lot of money. 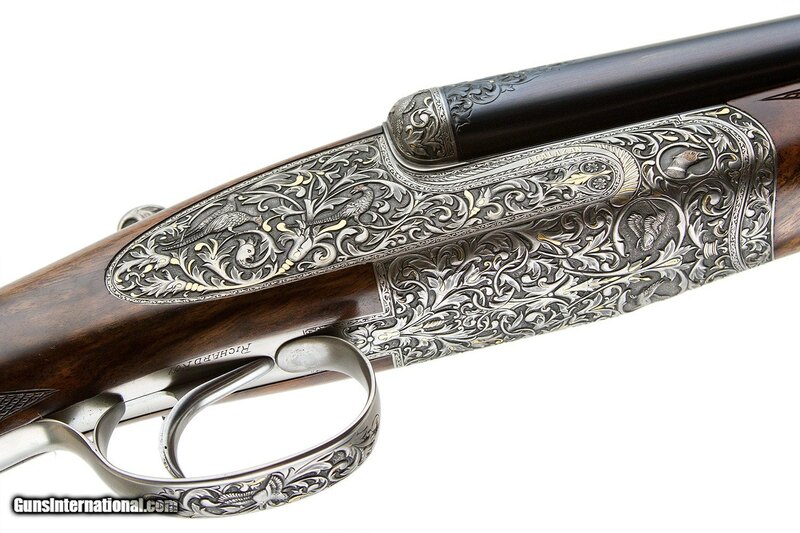 Today, a single set of new barrels by Atkin, Grant & Lang costs £8995. 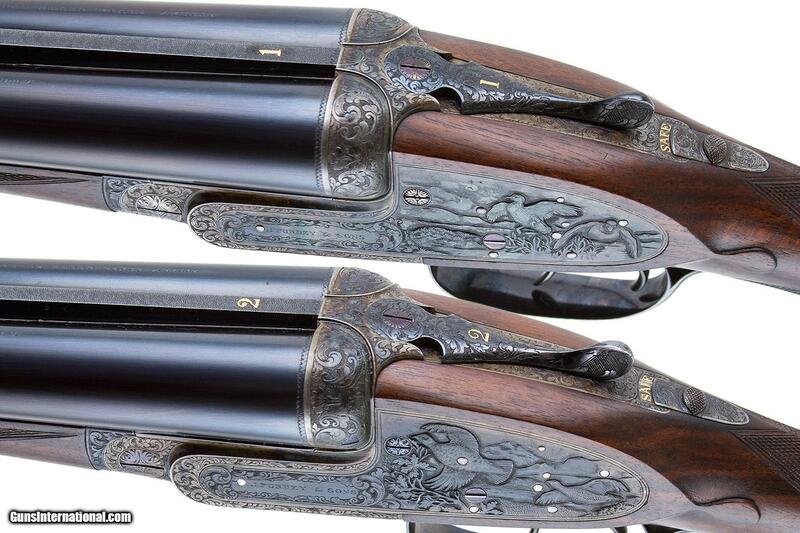 These guns have two new sets – so that’s £17990, or about $28,000. 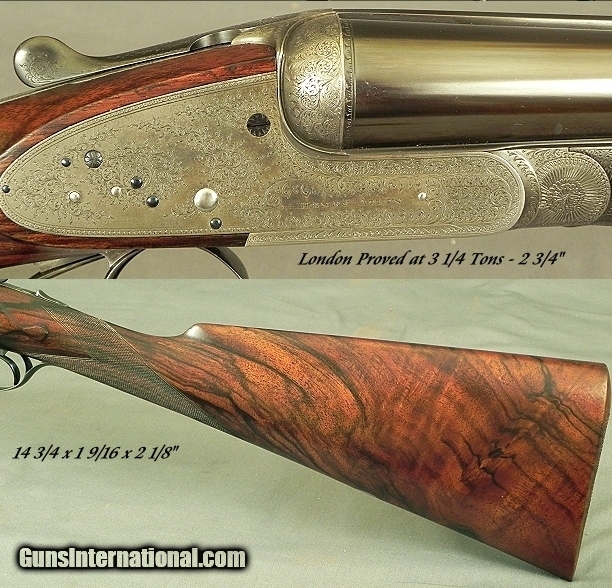 All new wood costs $10,000+ a gun and brings the costs to $48,000 in all. When you see the asking price — just $24,000 — you understand why these Atkins such a steal. 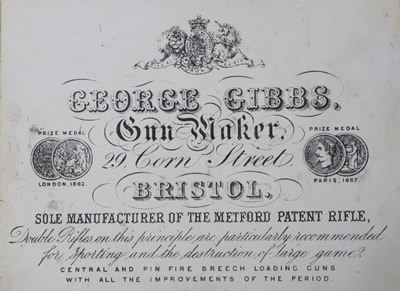 George Gibbs is a gunmaker we don’t hear a lot about today. 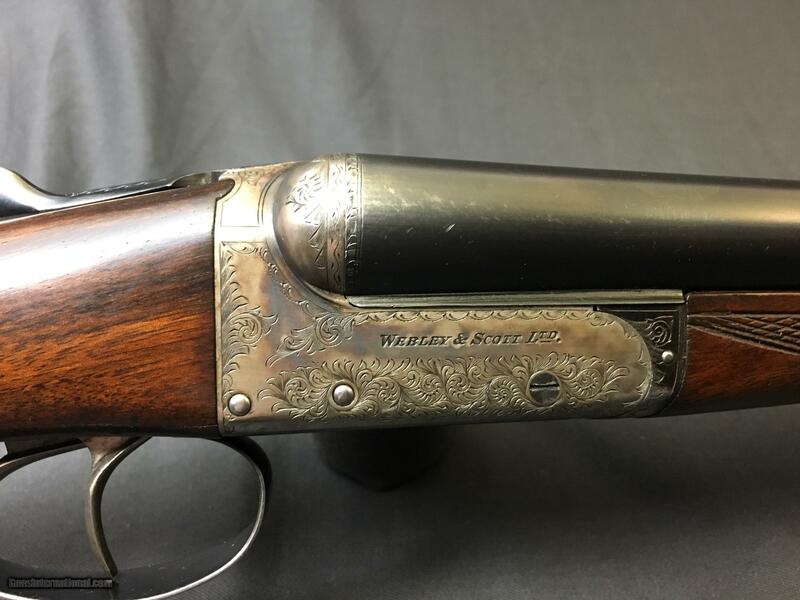 Even though he helped design one of the most successful hammerless shotguns of the 19th century, and his son partnered with William Metford to create one of the finest falling-block rifles of the 1870 and 1880s, you would be hard pressed to find a hunter or shooter who recognizes the firms name today. 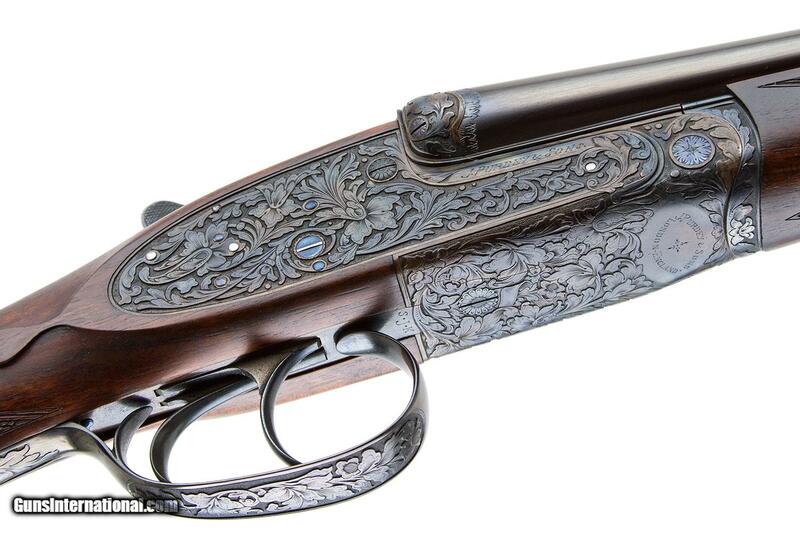 This is a shame, because many of the guns built by George Gibbs, Gunmakers are fantastic. 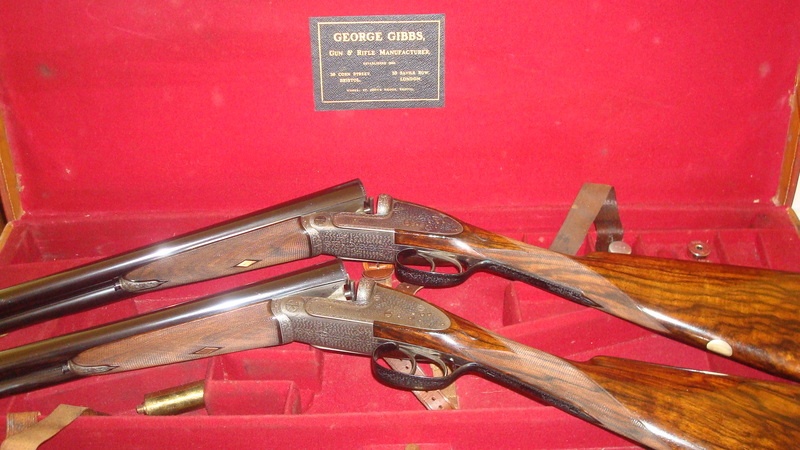 This George Gibbs .450 3 1/4″ Double Rifle is one example of just how nice a Gibbs can be. 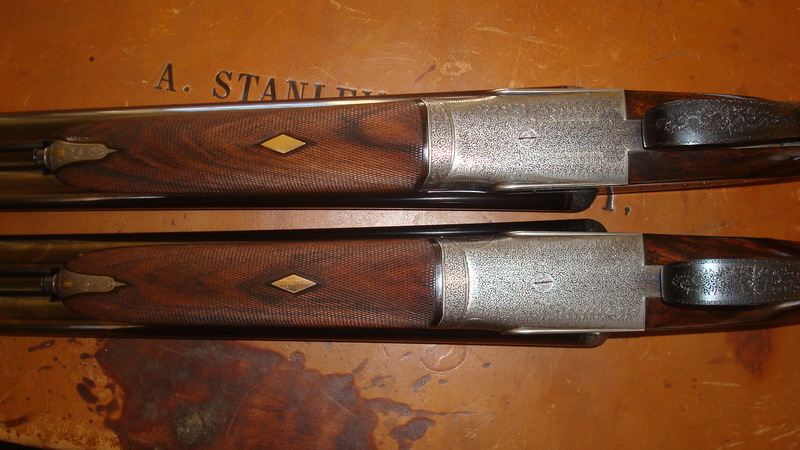 The pair of sidelock shotguns you see here are two more. Graham Mackinlay has these guns now. 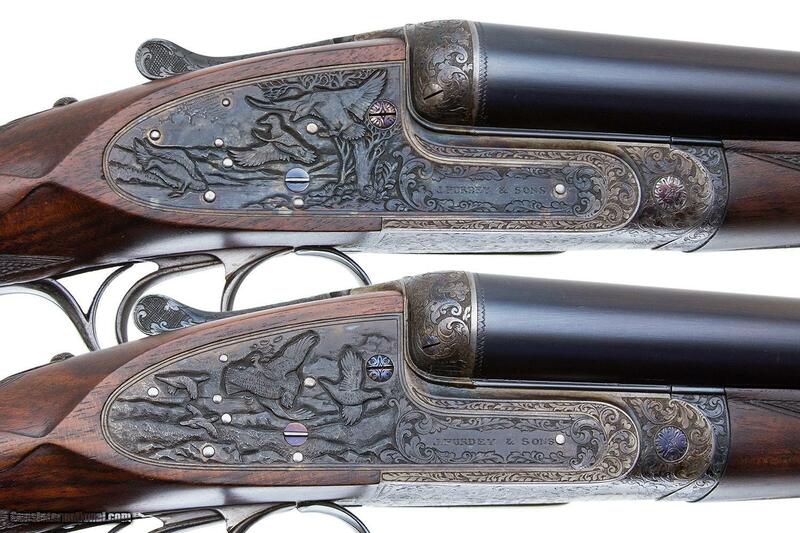 Made as a true pair of Best-quality side-by-sides, they’re in beautiful shape. 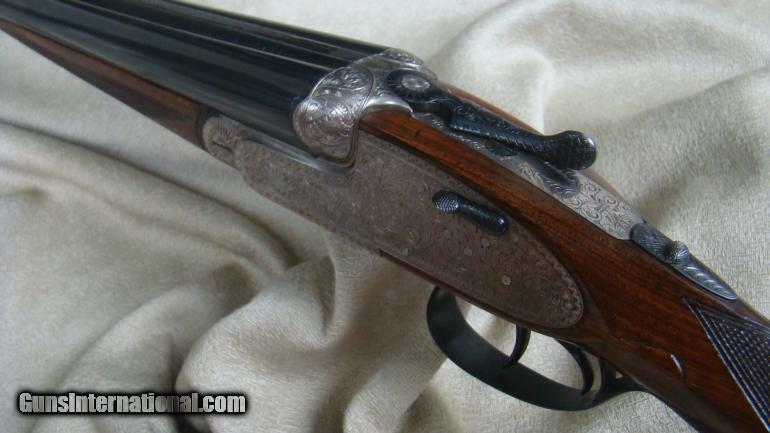 Last week I put up this post about a decent looking BC Miroku 12g sidelock that popped up on the market. Today, an even better deal has appeared. 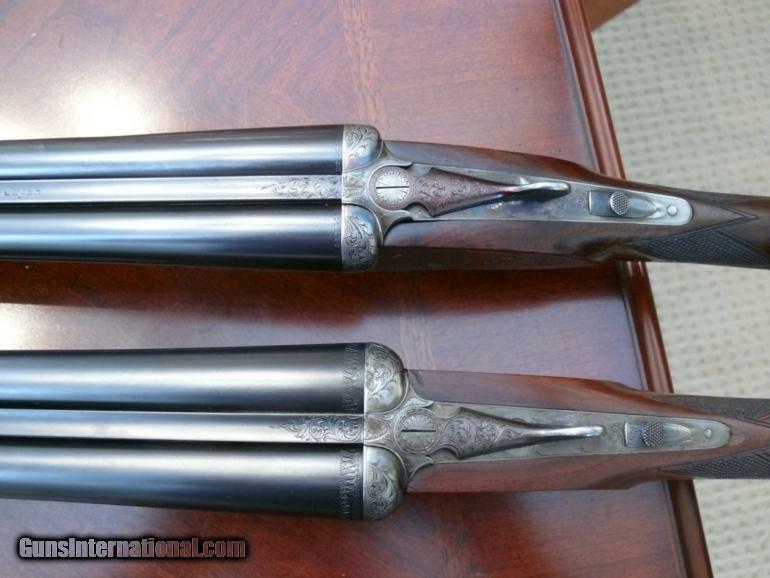 This double you see here is almost the same shotgun, except it’s a 20g with ejectors. 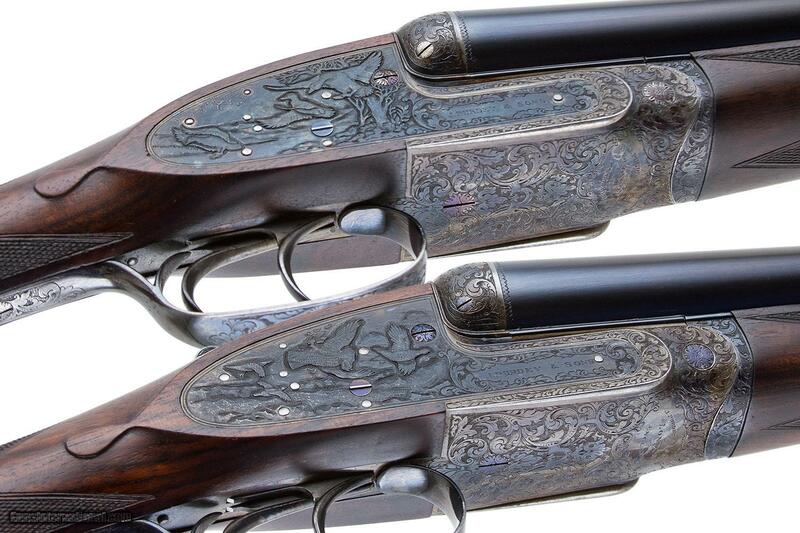 Here are a couple of doubles that combine two things you rarely find in the shotgun world: high quality and low prices. 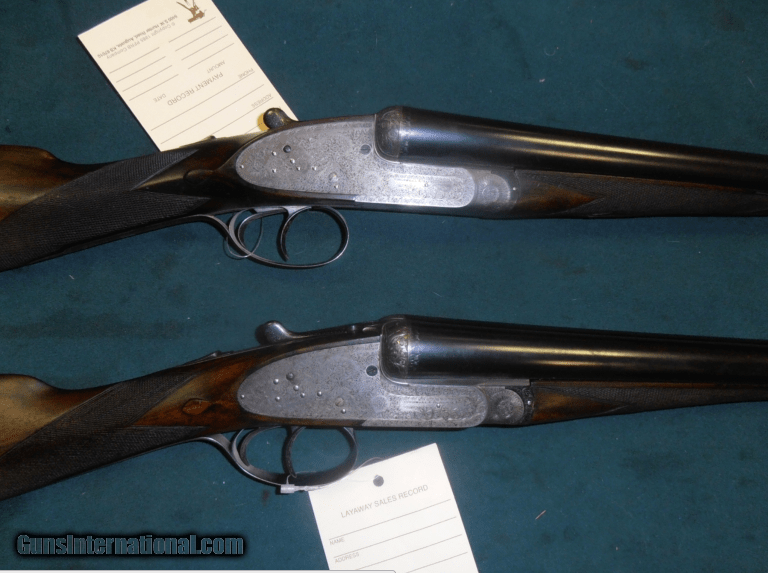 These SxSs were made by Miroku, a Japanese gunmaker who has been in the firearms business since 1893. 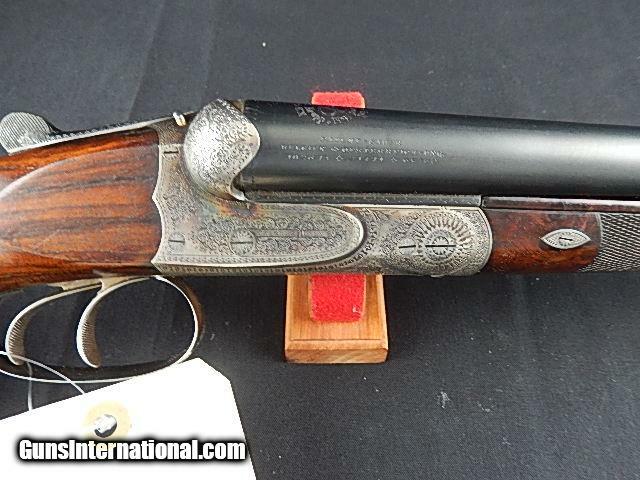 In 1973 they started producing the Browning’s Citori O/Us. They also made SxSs for the company, including the BSS boxlock and a shortlived line of sidelocks. 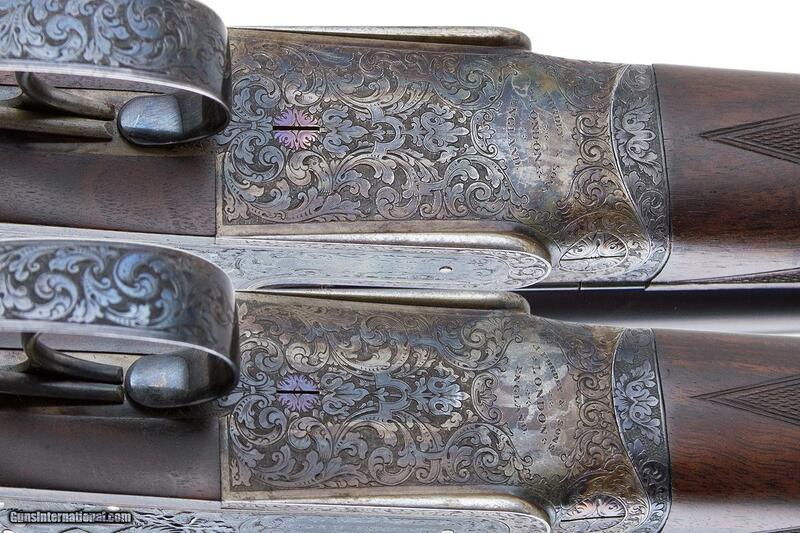 The guns you see here are from that run of sidelocks. 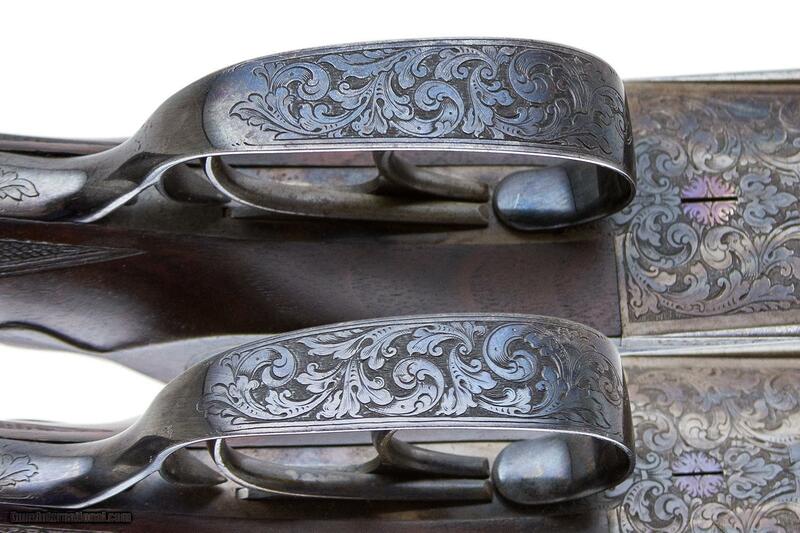 They are Holland & Holland pattern doubles made with excellent quality steel. 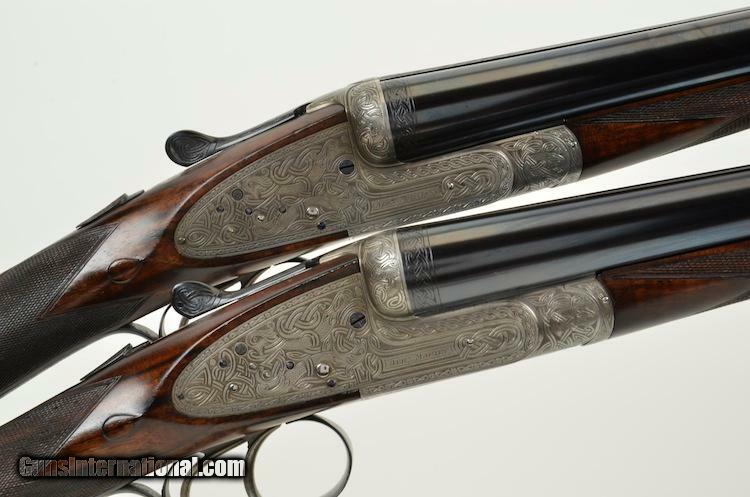 The workmanship on these guns is usually excellent, and I’m sure the fit and finish on these two will impress. My latest piece for Sporting Shot came out last week. 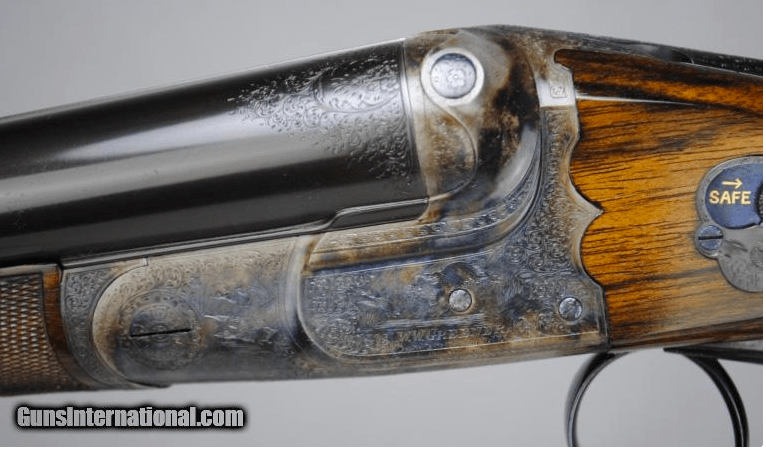 Sporting Shot is the online brother of Shooting Sportsman magazine; my piece is about a spectacular collection of shotguns and rifles that I discovered last year. 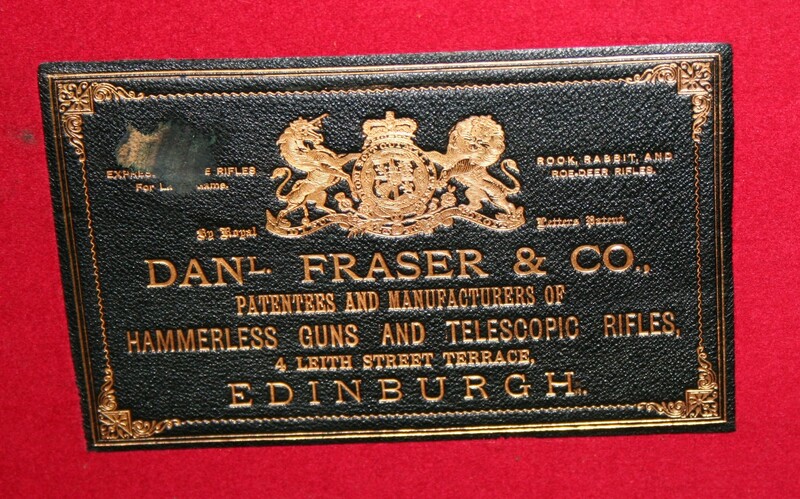 The 12 gauge Daniel Fraser & Co. shotguns you see here are from that collection. As you can see, they’re fantastic side by sides. 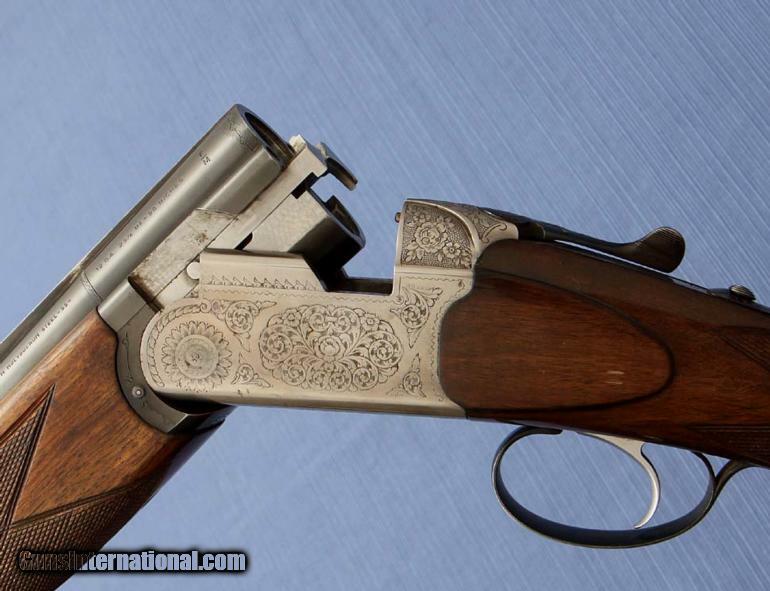 Check out the entire piece at Sporting Shot to find out more about them. -So where do you want to start?” my host asked. It was Saturday, a few minutes before noon. An hour earlier I had stepped off of a plane after a 1,200-mile flight, and my host had picked me up at the airport, driven me to his home in a suburban neighborhood of neat houses and nicely trimmed lawns. Now we were in his dining room,with the shades drawn against the midday sun. 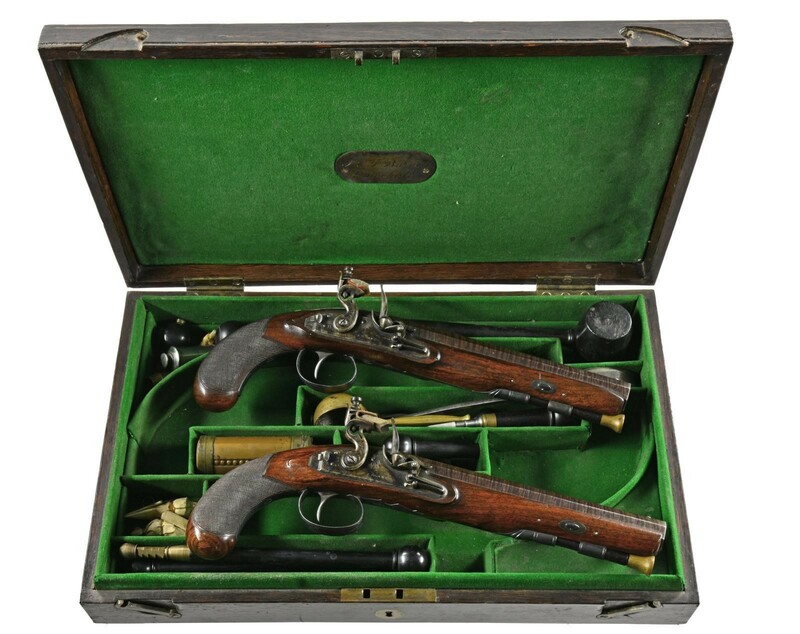 Ten leather shotgun cases were stacked on the table in front of us: Abercrombie & Fitches, nut-brown Bradys, and British oak & leathers with bright brass corners. “How about right here?” I said, pulling aside an armchair and tapping one of the Bradys. I had a hunch about the case. It was tiny and had to hold a .410. “Give it a go,” my host said, grinning like he knew I was about to be impressed. I sprung the case’s brass lock, lifted the lid and stopped. 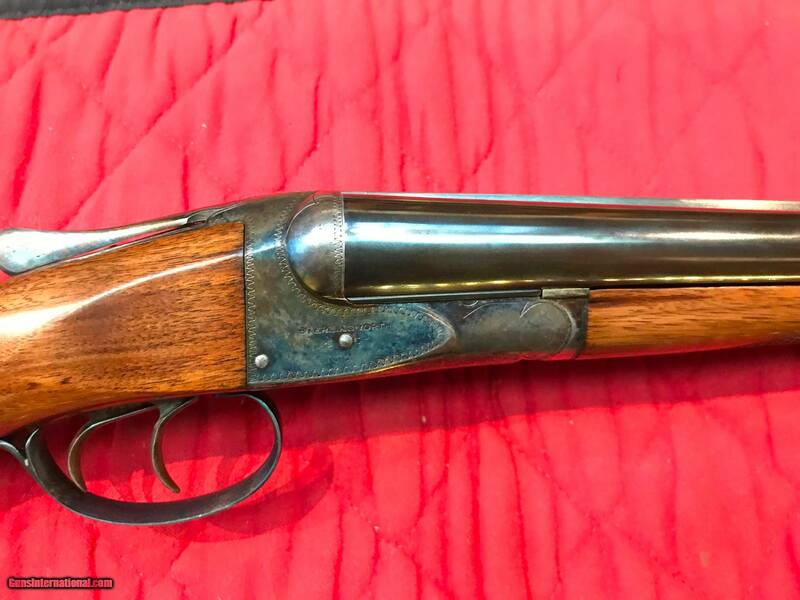 After several moments of staring, all I could say was “Holy crap.” There, snug in the case’s red baize lining, was one of the rarest over/under shotguns on the planet: a Boss .410. And it looked brand-new. 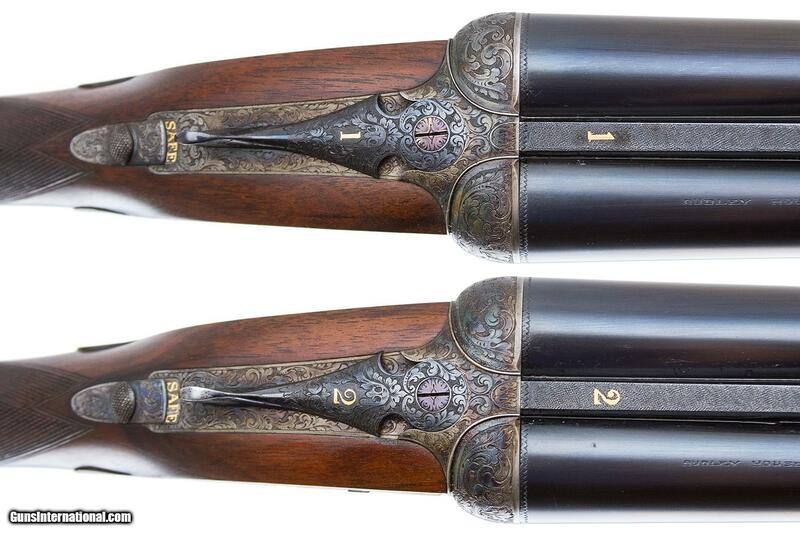 Go here and click on A Rare Pair Head to Auction to read the entire piece and see more pics of these fantastic side-by-side shotguns. 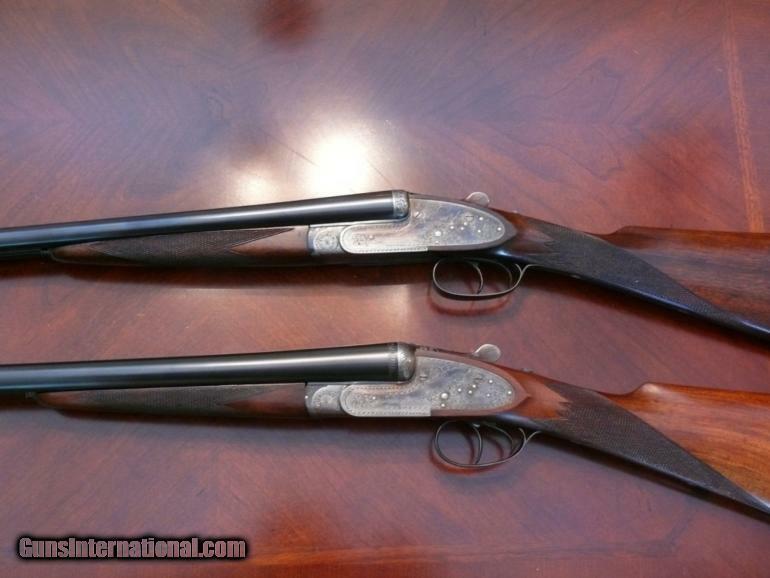 Pedro Arrizabalaga 20 gauge side by side shotgun: 27-1/2″ barrels with flat file cut rib, choked modified and full, 2-3/4″ chambers. 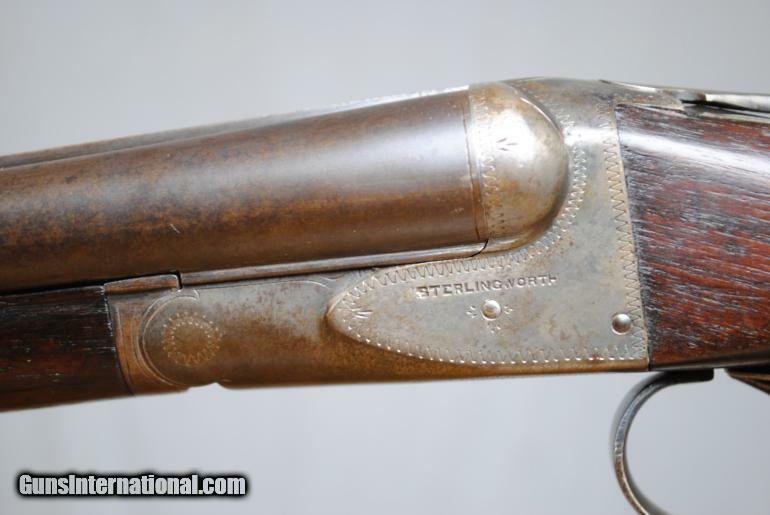 A best quality, hand-detachable sidelock with sideclips, and hidden third fastener. Self-opening coin finished action engraved in an early Holland & Holland acanthus pattern. 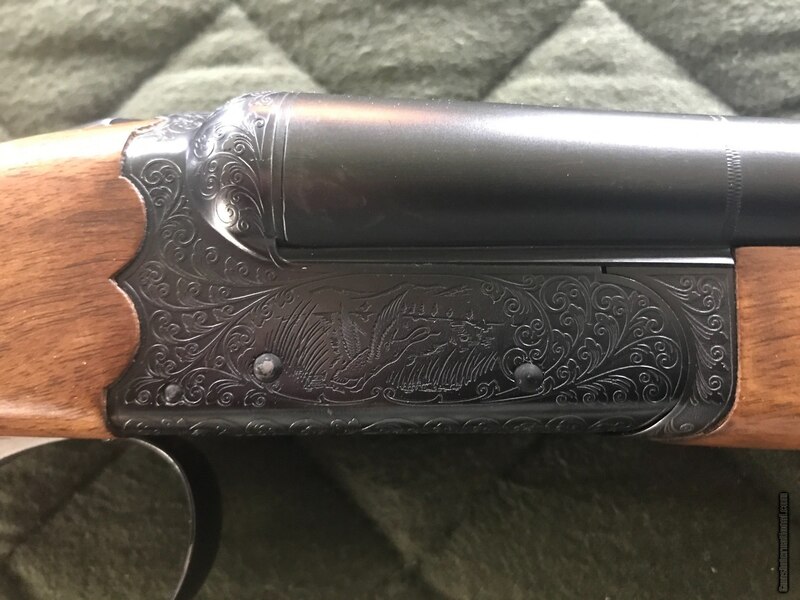 Double triggers with articulated front trigger, splinter forend, straight diamond grip of well-figured European walnut measures 1-3/8″ comb, 2-1/8″ heel, 15-1/8″ over a full leather fitted pad. Weighs 6 lbs, 6 oz. Cased. Price: $8,750. 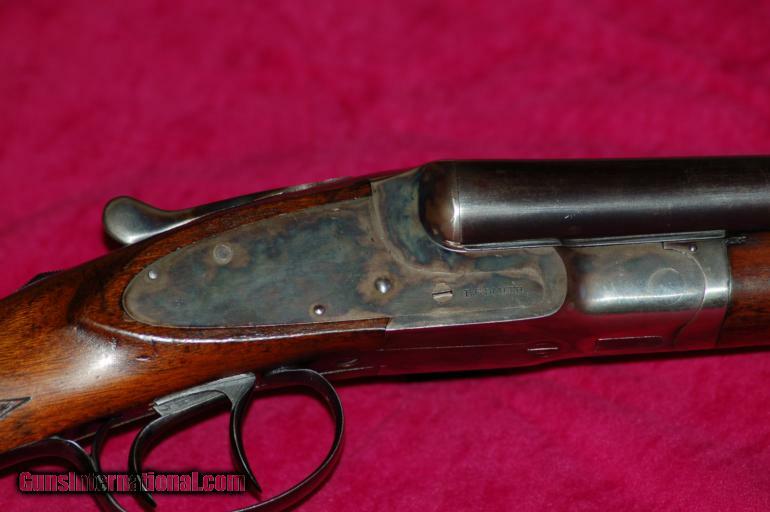 FOX STERLINGWORTH 16 GAUGE WITH 28″ BARRELS: Here is a nice condition Fox Sterlingworth 16 Gauge with 28″ barrels. Original case colors in protected areas. 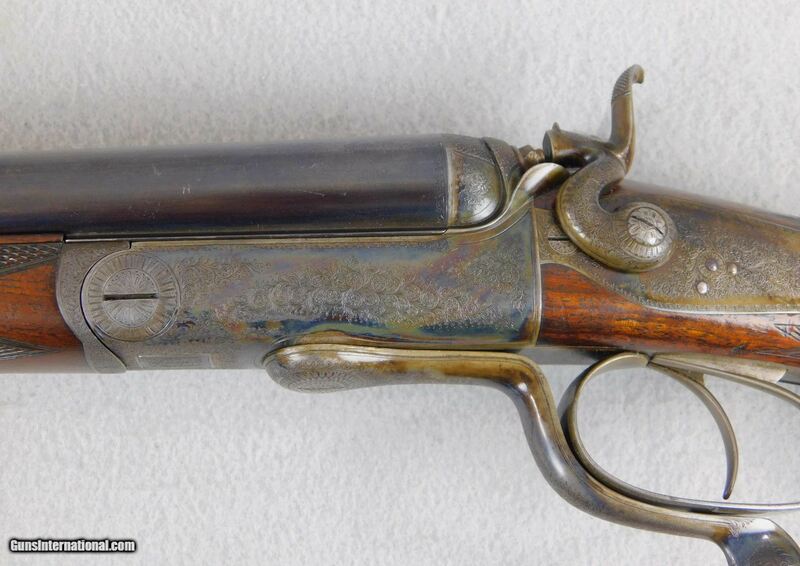 Gun is tight on face with toplever right of center. Bores measure right at .664 with Mod Choke and .661 with Full Choke. 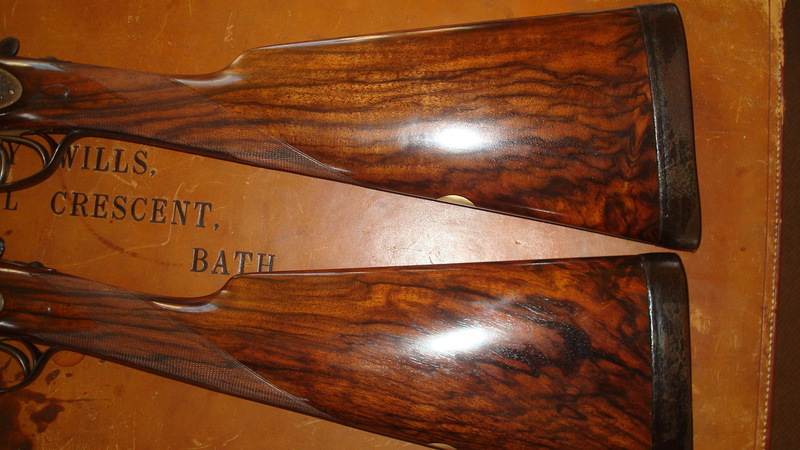 Chambers are 2 9/16″ as original. Good bores. Auto safety. No cracks in wood. Weight of gun is 6 LBS. 5 3/8 OZ. Shipping is $35. Stock dimensions follow. Price $1,100. Boss and Co., London. 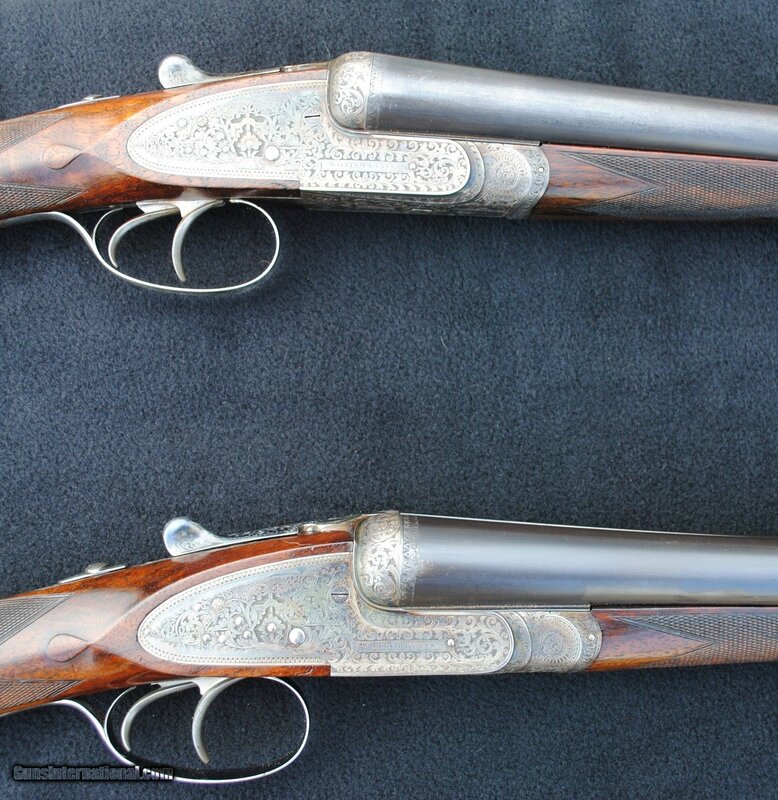 Superb pair of light weight 12ga. 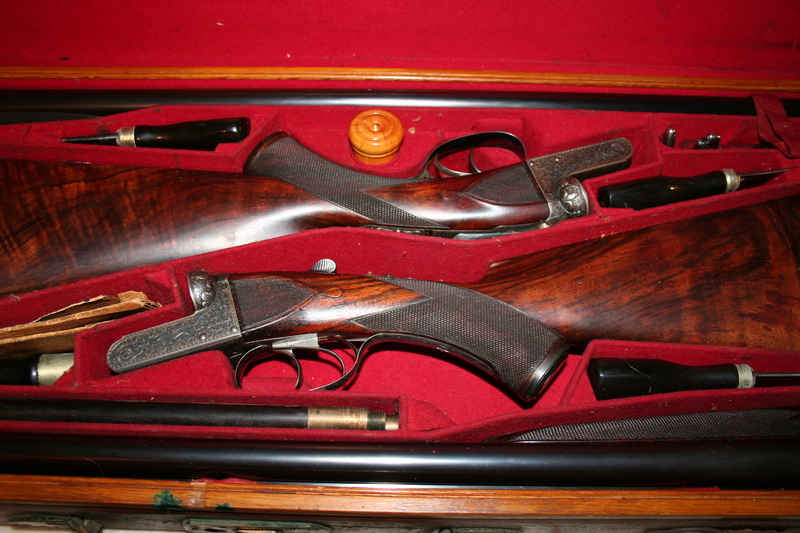 game guns, ca. 1925. 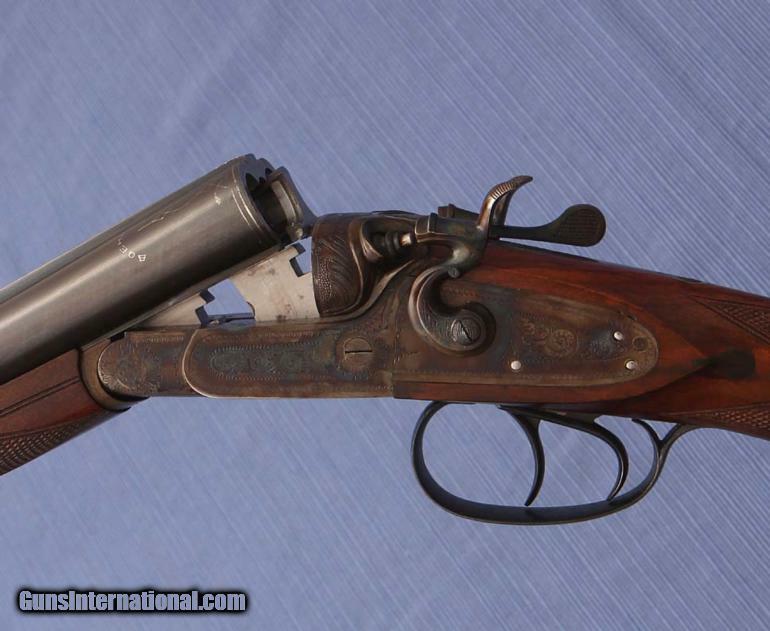 Image courtesy Lewis Drake & Co.
ENGLISH DOUBLE FLINTLOCK 16 BORE SHOTGUN BY “H. W. MORTIMER, LONDON”. Merry Christmas and happy holidays to everyone out there. I hope you’re having a good time and the cheer is spreading. I wish great health and even better luck in 2012. 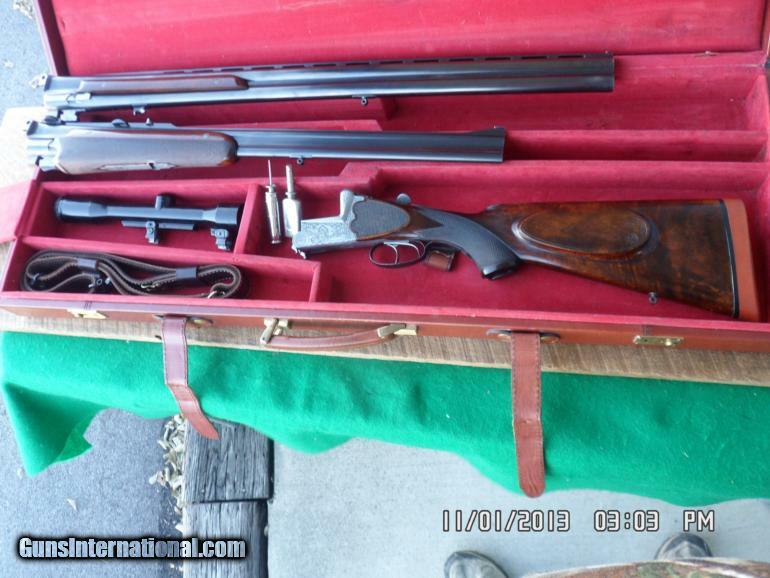 Here at Dogs & Doubles were getting ready to do some upland hunting. I should be in central Maine for the next few days, wrapping up my grouse season. If the snow stays away, we should have a good time. BTW: here’s a few things that were on my gift lis. Once again, the fat man in red didn’t come through. Probably out of his budget. You can see more pics of this guns here, here, and here. 2. This place in Montana where I could take full advantage of them. 3. And six of these guys. Those puppies are from Autumn Memory Kennels. 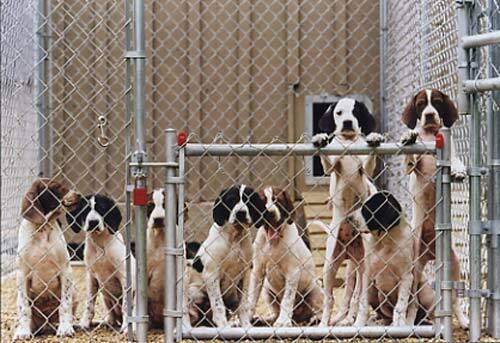 My girl is from there, and they turn out great English Pointers. 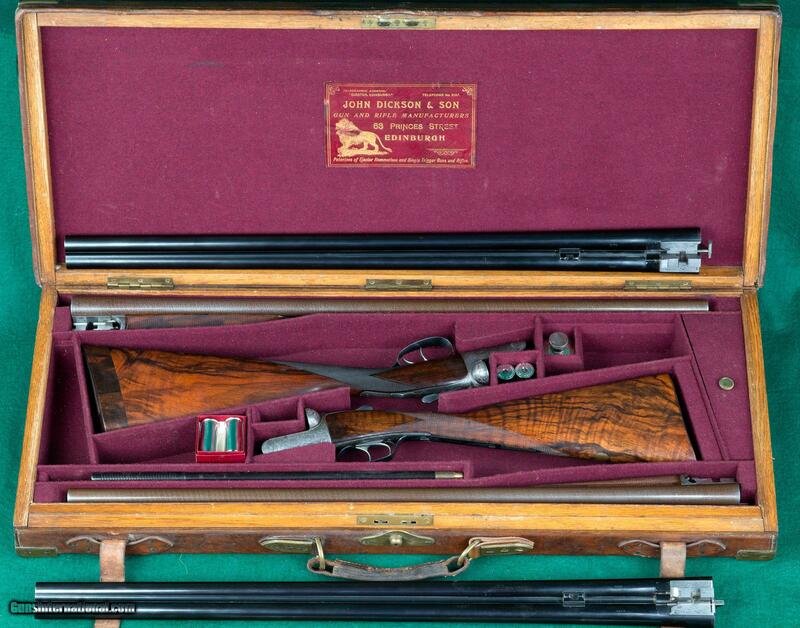 James Julia auctioned this piece of firearm/literary/American history today: this Westley Richards droplock double rifle in .577 Nitro Express that was once owned by Ernest Hemingway. 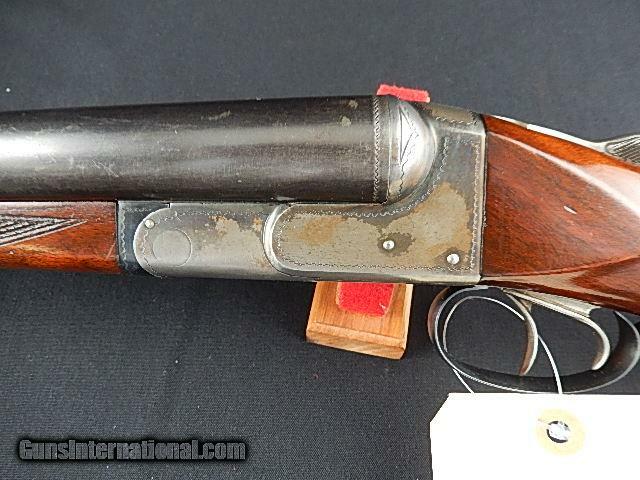 The gun hammered down for $295,000. That’s without the buyer’s a premium of 15%. So whoever bought Papa’s mammoth double dropped around $340,000 to get it. Those are some deep pockets. 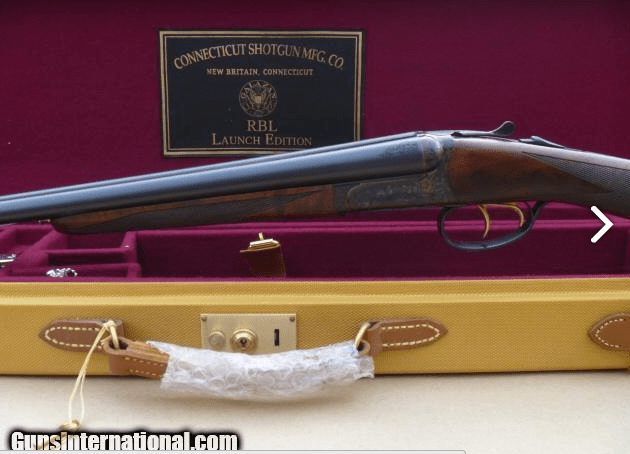 The gun would probably be worth $70,000 – $80,000 without the provenance. 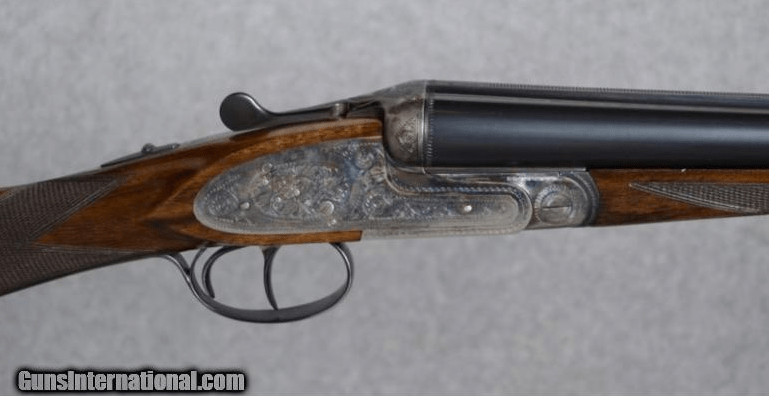 And who would ever want at .577 NE double rifle with a single trigger? Facing down a charging elephant is no time to run a quality check on something like that. 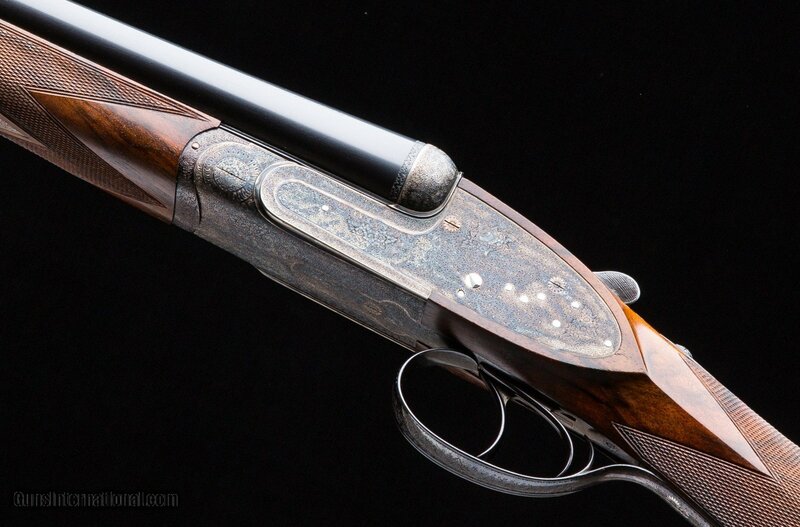 You can read more about Hemignway’s monster double in this article from Garden & Gun magazine. 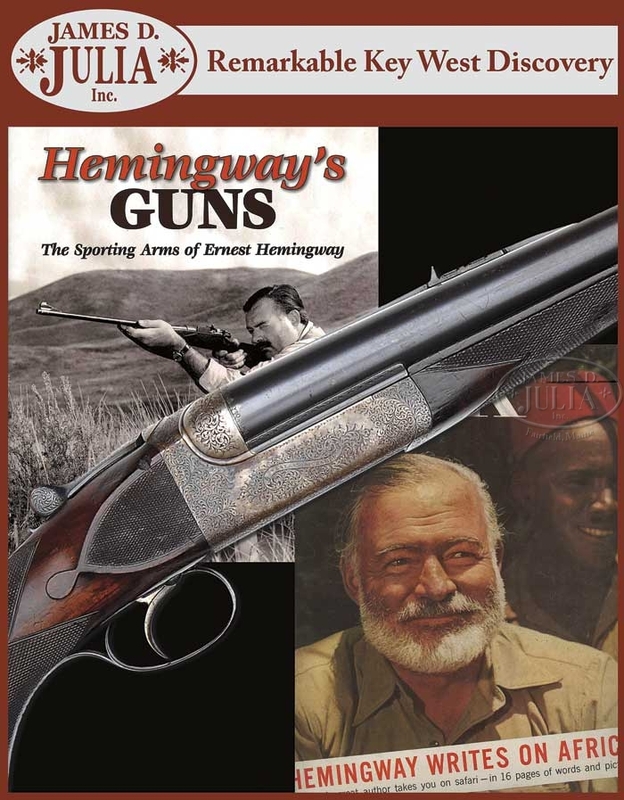 If you really want a .577 and you missed out on Hemingway’s gun, go to Schwandt Classic Arms and take a look under double rifles. 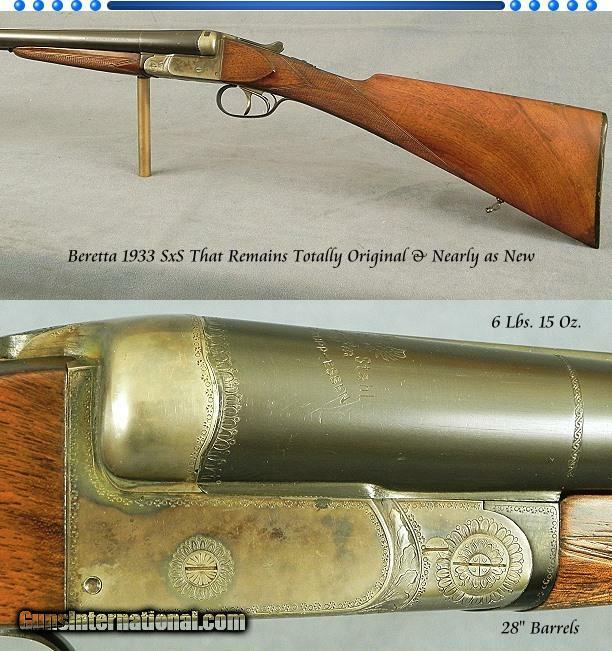 There you’ll see a better rifle for about half the money. It’s a Holland & Hollandy Royal in .577NE. 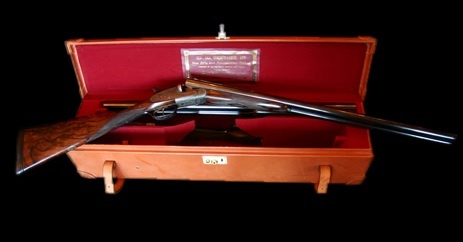 It’s a sidelock (droplocks are over rated) AND it has double triggers. 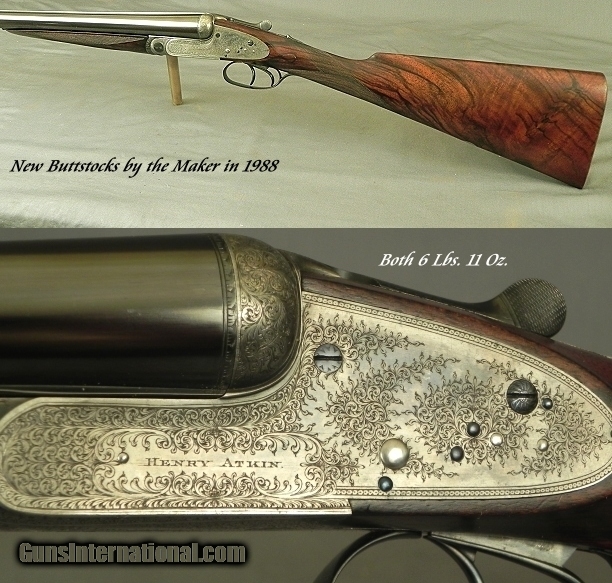 I’ve seen this gun in person and it’s awesome. 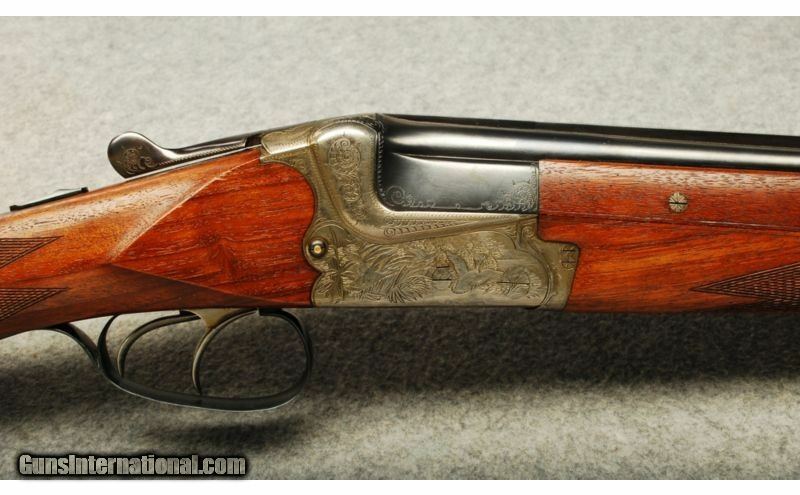 I don’t know if I would want to shoot a .577 NE , though. I’ve fired a .470 NE double rifle and that gun bounced my brain around pretty well. Anything more than that is too much for me.